In their Q3 release, marketing platform Dotmailer added an update to marketing preferences and their product recommendations. Both important pieces of personalisation functionality – so let’s have a look. Marketing preferences allows email marketers to store multiple kinds of audience preferences (product, communication and more). 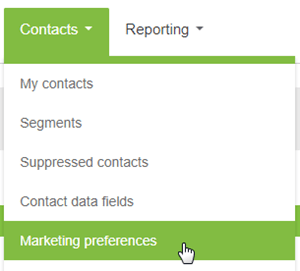 Any email marketer can set up individual contact preferences in the Contacts > Marketing preferences section of the Dotmailer platform. The feature helps to populate the preferences and categorize them as well. Preferences data can then be used to run more targeted email marketing campaigns. Recommending products to customers is in vogue because it works. With smart suggestions, the products should be very relevant and do well in terms of conversion. If you want to know more about the insides, of such features – we wrote this article on email marketing recommendation engines. In DotMailer this feature works by marketers syncing product information with the email marketing software. The “AI-powered” feature then provides personalized product recommendations to show to individual subscribers in their messages. DotMailer provides a recommendation builder that’s available as a drag and drop in the email editor and to use on landing pages. The recommendation builder also comes with “product enrichment”. A marketer can use it to define product attributes to get more accurate recommendations. The tool has in-built resize function for your products for customers to see smooth product blocks. There is reporting on the ROI of your recommendation campaigns and marketers can modify them accordingly. DotMailer has changed the unsubscribe and preference centre settings as well. These settings are available in the Account > Account settings section. The settings help marketers to choose whether the unsubscribe link goes to a preference centre or a one-click unsubscribe page. 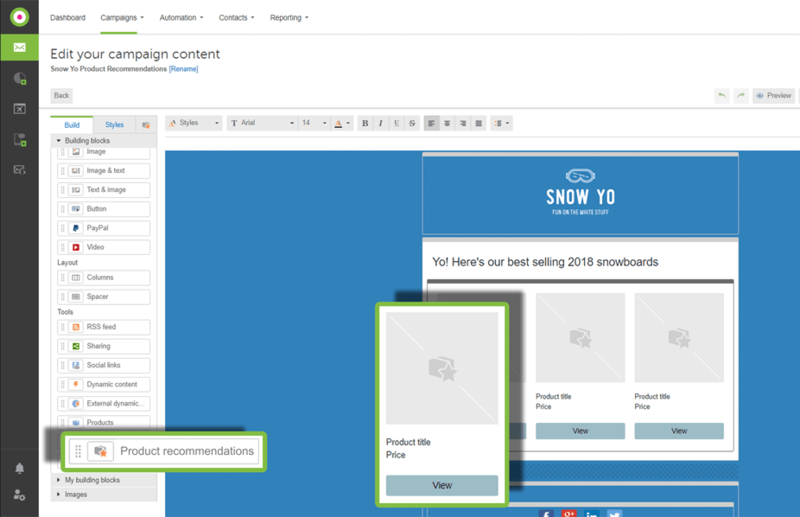 With the update, marketers can choose to show the default preference centre or a custom URL on one of the landing pages. Update a contact to be opted into or out of preferences (in the ‘Update contact’ node). Set up the condition that a contact must be opted into a selected preference in order for them to progress down the ‘Yes’ route (In the ‘Decision’ node). Migrate your preferences if stored elsewhere within the platform.